An ancient African proverb says, “if you want to go fast, go alone. 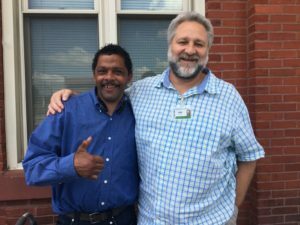 If you want to go far, go together.” Our guests at Bethesda Mission rely on support from others to go far in their recovery journey and so do we. Those struggling with drug/alcohol addiction find the holiday season to be particularly troubling because amplified stresses can lead to relapse. Family difficulties, feelings of isolation, and money issues can bring unwanted behaviors back to the surface. The good news is that they are not alone, and we can do something to help! As you prepare for Thanksgiving festivities, it may be a difficult time for you as well. Maybe you have loved ones who are dealing with some type of addiction or additional stress. Because of this, you know short-term fixes aren’t sufficient. We need a long-term approach and a collaborative effort to begin reversing the devastating effects addictions have on individuals and their loved ones. Bethesda doesn’t want to simply put a bandaid on the situation. We need to work with other organizations to make a lasting impact for both the individual and community, especially during hard seasons of recovery like the holidays when it’s easy to experience halts in the recovery process. To go far together, Bethesda partners with other facilities, organizations, and services to increase the care provided to the guests. Saran Tucker, intake counselor at the women’s shelter says, “by extending beyond Bethesda, guests are better taken care of, whatever their need may be”. Individuals walk through our doors with unique stories but with dozens of partnerships with employment agencies, housing groups, mental health and drug/alcohol counselors, churches, medical providers and with you, our donors, Bethesda is prepared to address any need. Partnerships also help guests develop new, healthy relationships and foster a greater sense of community that recovering addicts often lack. For example, Bethesda partners with Philhaven to provide additional mental health and drug/alcohol addiction counseling. Deb, women’s shelter counselor, explains the benefit of this partnership: “it provides the opportunity to meet new community members and interact with those who are at different places in the recovery process.” Such relationships help minimize the risk of isolation during this time of year. Jay is a benefactor of numerous Bethesda partners. He came to Bethesda with medical problems beyond what the clinic could handle so we connected with local medical facilities in order to complete an important back operation. For drug abuse, Jay received specialized counseling from the Naaman Center. Bethesda also connected Jay to Veterans Affairs to help him secure housing. 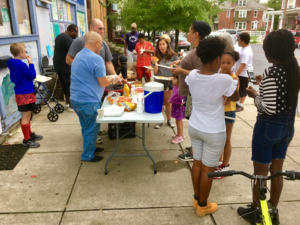 Jay became involved with Bible Baptist Church and Capital Area Dream Center where he grew in his faith and gave back to the community by serving meals. A year has passed and he is still going to the Naaman center, living in an apartment, and has remained sober. Jay went far because he had the support of other people to go with him. He now has his foundation in Christ, he is walking on solid ground and is equipped to overcome anything that the holiday season throws his direction. You can help many individuals like Jay go far in the process of healing by continuing to partner with Bethesda. Donors like you collaborate with us and individuals like Jay every time they send their support. You may not have the expertise to deal with issues first hand, but you have provided the resources that help bring healing to those in crisis. It’s easy to see that collaboration is key for Kingdom work. Carol Steele, Bethesda Medical Clinic Nurse stated, “we could not do what we do without others.” Partnerships create a unique opportunity to join together in pursuit of a higher calling. God gave us unique talents and gifts that can be used together to care for our brothers and sisters in need. By the grace of God, Bethesda is going far; would you like to come with us?